The month of January brings new books, childhood memories, and some great Springer Mountain Farms® chicken recipes from featured artists on Great Country Moments. January episodes will feature Janie Fricke, Oak Ridge Boys, Rex Allen Jr., Mark Chesnutt, Bill Anderson, Jeannie Seely, Confederate Railroad, Charley Pride and Ronnie McDowell. Fans can access Great Country Moments content online at www.greatcountrymoments.com. “Springer Mountain Farms® enjoys many wonderful partnerships with the country music community. Great Country Moments is another great outlet to feature some of country music’s finest with an added bonus, their favorite chicken recipe! We have created a living cookbook that fans and Springer Mountain Farms® chicken lovers can follow along with. I can’t wait to try the recipes out in my kitchen!” said Gus Arrendale, President of Springer Mountain Farms®. 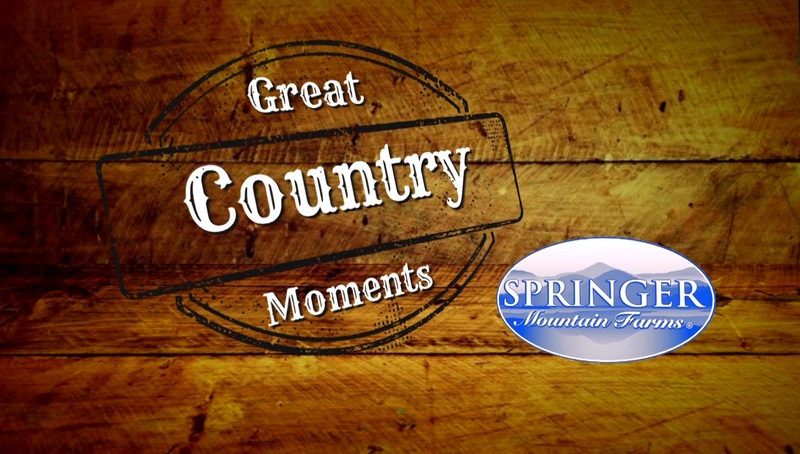 The “Great Country Moments” series features a new video being released each week. The recipe segments will reveal the artist’s favorite homemade recipes using Springer Mountain Farms® chicken, along with a written recipe that will be available to viewers. Some of the stars featured in the series include Charlie Daniels, The Oak Ridge Boys, Tanya Tucker, Ronnie McDowell, Jeannie Seely, Deborah Allen, Jimmy Fortune and many more. For more on Springer Mountain Farms® please visit www.springermountainfarms.com.